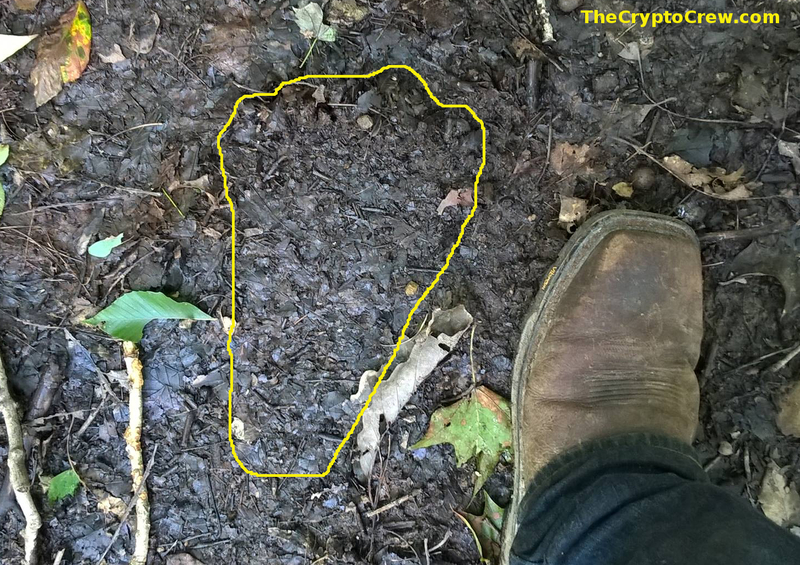 I was recently contacted by a man, who I will call Al, and he had found and videoed some possible bigfoot tracks while out hunting ginseng. 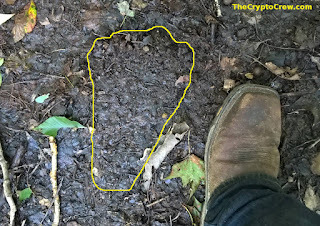 I have talked to him several times about other things found in the area where the possible bigfoot activity is taking place. Al, was concerned about receiving ridicule, so we have changed his name and omitted his last name. We are also not giving out the exact location, as this is private property and there is ongoing research. Here is the report, followed by some video. There is also other evidence that was found and not photographed. This was due to the fact it was found before the tracks where found. One such thing was where roots of plants had been removed from the ground. There appears to human shaped finger scraps into the soil. While Al thought this was unusual, he thought it could have been done by something else or somebody. I assume he was not thinking about bigfoot at this point, because he had not found the tracks. There was also an unusual game cam capture about 2 or 3 weeks later. Here is the video of the tracks and of the unusual game camera capture. 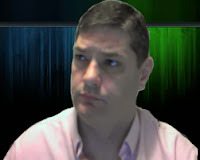 I'm in contact with Al and there are efforts to document more evidence from this area. I hope to have an update in the future.